Oh boy! It’s time to play games for the kids again. This is my 3rd year, and I’ll be playing games for 25 hours starting at 8:00am on November 3 (Sat) and ending at 8:00am the next morning. (The extra hour is thanks to the end of daylight saving time.) Here’s my Extra Life Participant Page, where you can donate to the Doernbecher Children’s Hospital in Portland and find all the info about my schedule and streams. I’m also bumping up my goal from $200 last year to $269 this year, just because. Third time’s a charm for streaming. This year I’ve got a new VR room setup and I even have a webcam, so I’ll be streaming and you’ll be able to watch the games as well as me playing them. I’ll attempt to talk more than I typically do, so that you can get my running commentary on the games that I’m playing. My Twitch stream is embedded here, followed by a link to my YouTube stream, for your viewing preference. I’m planning on doing more VR games this year, now that I have a clear space in which to play. I’ll likely alternate between VR and monitor games to give the headset a chance to cool off and let me sit down. The Extra Life gaming marathon is happening on Nov. 4 (Sat) this year. I’ll be playing video games for 25 hours (thanks to daylight saving time ending that night) starting at 8:00am. The purpose of the marathon is to raise money for the Children’s Miracle Network, and my donations will go to OHSU Doernbecher Children’s Hospital in particular. It also gives me an excuse to try out 25 games that I have purchased, but have not played yet for whatever reason. 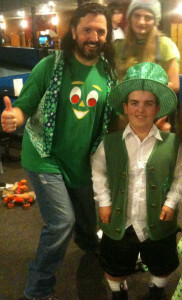 Since I raised $165 last year, which was over my goal of $100, I’ve doubled my fundraising goal to $200. In exchange for the increased goal, I’m going to attempt to stream the games this year. I’ll also try to get a headset working so that you can hear my random commentary while I play, and perhaps even hear me shout obscenities when a game is being stupid. I’ve been testing some streams on YouTube and Twitch so far, and I am leaning toward YouTube at the moment. I’ve created a form which lists all of the games which I will have ready to play. You can click the link above to see the list. You can also vote for any games that you would like to see me play, which will give them priority. Similar to last year, I will be playing each game for 1 hour, and these are all games which I have not played yet. If I have any technical issues, I’ll simply move onto the next game. I think Helen Lovejoy said it best, when she said: Won’t somebody please think of the children?!? Thanks, and pay attention to my social media channels during the event to get links to the streams and other updates. 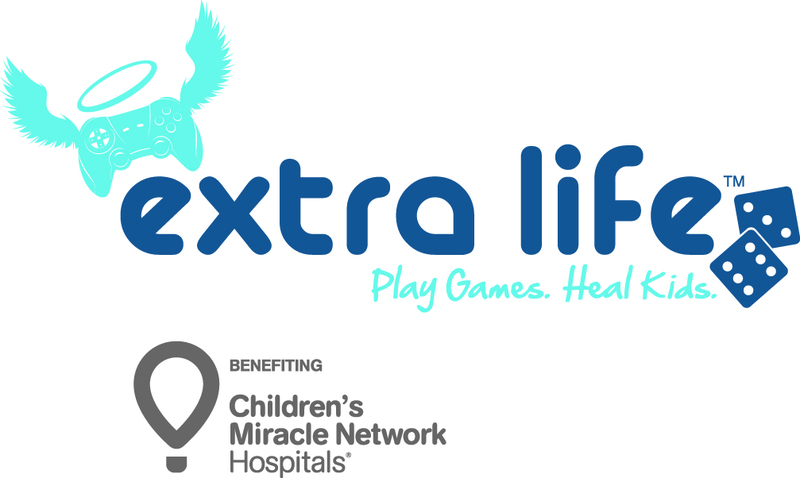 On Saturday, November 5, I’ll be participating in the Extra Life charity event. I’ll be playing video games for 24 hours, starting at 8am, to raise money for PeaceHealth Sacred Heart Medical Center. I’ll be putting together a list of 24 games for the event, with some backups just in case. There will be PC, console, and mobile games, with several in VR. My plan is to play each game for at least an hour, and see how far down the list I can get. If I happen to come across a game that I want to play for longer, then that’s what’s going to happen. I’ll be posting to my social media accounts to keep a running update of my progress. I’ll also be trying to set up some software to allow streaming for games that are compatible with it. Console and mobile titles will not be streamable, unless I can find a web cam in my pile of hardware. Feel free to check in on me during the event to see how far I’ve made it, or just to heckle me for my game choices. Game on! 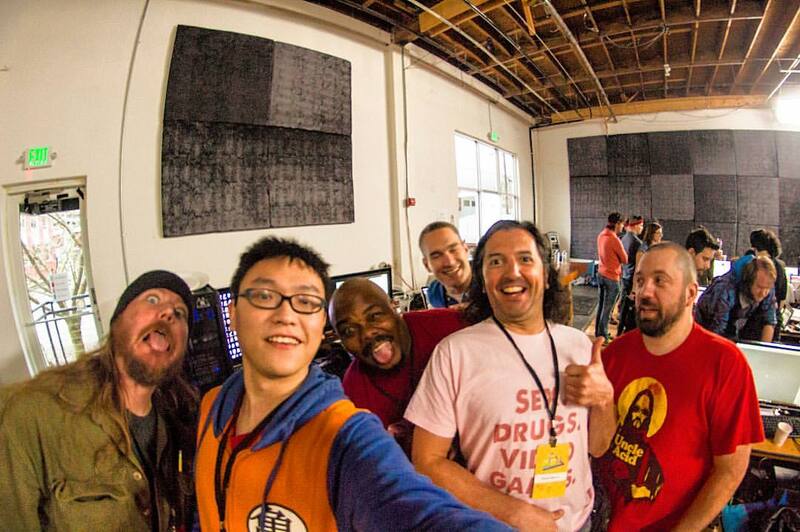 The second weekend of February, I participated in the Cartoon Network Game Jam. 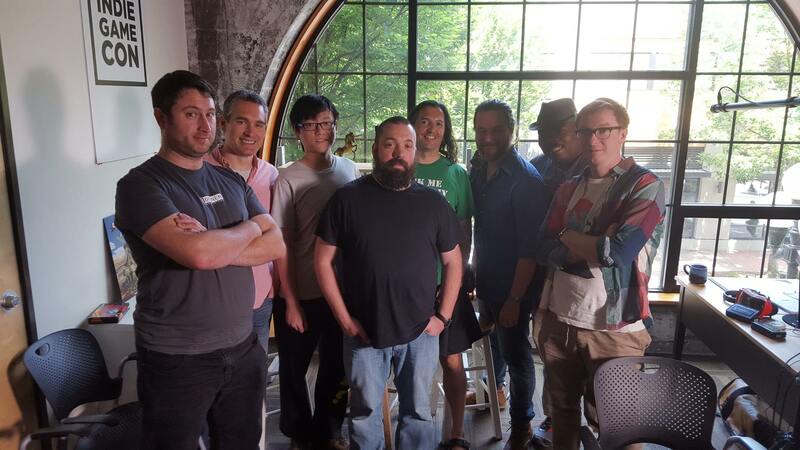 I was on the Fat Little Rain Cloud team, which was 6 developers based out of Eugene: Ted Brown, Ed Friese, Michael Jones, Jay Michael McCarthy, and Peng Xu. We got to Portland Fryday afternoon, and dropped off some equipment before we went and checked into our hotel rooms. Yeah, we didn’t go all badass and stay up for the whole weekend. We’ve all been doing this long enough to know that you can work better when you’re well rested. After getting checked in, there was a keynote talk with the organizers and the creators of OK, K.O.! They explained a bit about the characters and universe, the idea behind the property, and how the game jam fits into it. They then randomly assigned a character to each team, and we got to work. Our character was Dogmun. A dog who was bitten by a radioactive dog and became half-man/half-dog. Yeah, it makes as much sense as it sounds. So, we headed for the nearest bar and started brainstorming ideas for the game. We tried to come up with super powers related to every type of dog behavior that we could think of. Everything from sniffing butts, to peeing on things, to burying stuff, and eventually fetching. We ended up making his super power be the ability to throw his own ball, and do a rocket fetch move that lets him fly through the air and crash through objects. After deciding on the mechanic, we got the project set up and ready to go before we headed back to the hotel. The next morning, we got to work on the gameplay and animations. There was still some discussion about the background story for the game and how the details would work. We started with a 3D platforming game, and had it up and running in a couple hours. We quickly realized that the 3D controls were too confusing, and we switched to a 2D platformer. That gave us the ability to control the arc and strength of the throw, instead of simply aiming the ball. It felt much better, was easier to understand, and made the level layout simpler. The end result was a game where you would tap on the screen to tell Dogmun to walk to a position. If you tapped and held the screen, you could drag your finger to aim a throw like a slingshot, in a similar manner to Angry Birds. If you tapped the screen while a ball was in the air, then Dogmun would fly to the ball at high speed and fetch it, while destroying almost anything in his path. Overall, it was a fun mechanic, and we had it up and running on the PC and mobile. Everybody who tested it seemed to have fun with it, and it was exciting to see how quickly they figured out how to play. We placed in the top 16! We won $3000 for the team, and were interviewed for a special that may air on Cartoon Network someday. All in all, a pretty successful first game jam I’d say. I believe that once the special airs, I may be able to post a link to the game. Either Cartoon Network will post some of the games online, or we can use the game without their characters and publish it ourselves. We’ll see what happens. Beware! Incoming missiles are threatening your cities. Shoot them out of the sky before they hit their targets. VR Missile Control is now available to download from the Google Play store. It’s also available on WEARVR. If you feel like waiting for an undisclosed amount of time, you’ll be able to get it from the Oculus Share site. There’s no reason to wait though, since Oculus is so slow to review builds that it’ll always be behind the above builds. VR Missile Control has been designed to work with one button input, so you can use it with your Google Cardboard viewer. It also supports some common gamepads for both Windows and Android. I’ll be putting a WebGL version up on my web site soon, after I make some minor tweaks to the mouse controls. Check it out and let me know what you think. The current build is version 1.0.1, which means that the core gameplay is in place with no known bugs. I’ll be adding enhanced VR and gameplay features in future versions. Fun stuff, like new weapons, new enemies, full 3D UI layouts, new effects, and whatever else comes to mind. It finally happened! I released VR Meteors for Cardboard on the Google Play store. I also submitted a Windows version for Oculus Rift to the Oculus Share page, which may take a few weeks to be approved. I’ll announce when it’s available, don’t worry. Phase 1 of my business plan is complete. For those of you with an Android device, grab your Cardboard viewer and check it out. It’s free! For those of you with a Gear VR, I’ll be releasing a version for you soon. I just need to find somebody who has a Gear VR to test it for me. There will probably be a handful of bugs to fix, since I’m not positive I have the input handling set up correctly. For those of you with an iOS device, it may be a little while before I go through the Apple developer process. I don’t have a Mac, so I’ll have to borrow one to get my builds running. Thanks, Apple. For those of you who actually play it, here is some info for you. 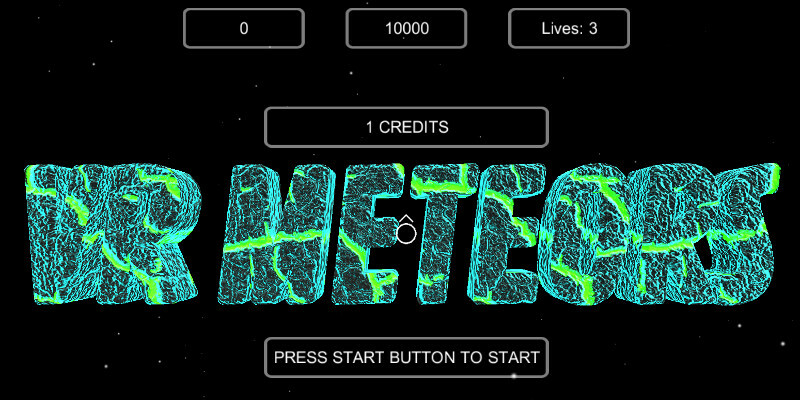 For this first version of the game, I’ve focused on the basic gameplay and standard features that are found in Asteroids. I want to provide an easy-to-play VR experience that you can enjoy for minutes at a time, and easily show to your friends and family without a lot of instruction. You can even turn off the VR rendering in the pause menu and play in 2D. You’ll still be able to aim by rotating the device, fire by tapping the screen, thrust by holding the screen, and you won’t need a viewer. There are some modifications to accommodate the VR presentation. Some things just don’t make sense conceptually in virtual reality. I’ll add them in later, if I can come up with good solutions. The difficulty is a little lower than I would like, which likely has to do with how easy it is to aim with a VR viewer. I’ll crank it up for future releases. Future updates will add enhanced features. For now, I’m going to put this project on hold to get VR Missile Control released. I’ll still be working on getting VR Meteors for the Gear VR done. I just won’t be changing the gameplay until the next version. I will be applying the lessons that I learned on this project to VR Missile Control, so I expect things to go much quicker and smoother. I think I’ve mentioned this in a previous post, but I’ll say it again. I highly recommend the View-Master viewer to use with Cardboard apps. It is the sturdiest viewer that I’ve tried. It has secure and easy access to the phone. It has an actual lever, instead of a touch pad or magnet. People are familiar with it and get excited to try it. Enjoy the game, and feel free to send me any feedback. Yeah, like anybody is reading this. I did it! I finally found a laptop that runs VR! It’s like a leprechaun laptop, which for the purposes of this blog post I’m calling a laprechaun. I actually found a leprechaun a few years ago, and it was harder to find a laptop that ran VR. So, I’m understating it a little. It’s an ASUS ROG (Republic Of Gamers) laptop, which is marketed as a gaming laptop. Whatever they want to call it, it actually runs the latest version of the Oculus software (0.8). Of course, it may be disabled by the final version of the software. But I won’t have that until March at the earliest, and by then my desktop will be able to run the Rift. That means it’s time to get back to work on the games. As a pleasant, color-coordinated coincidence, the red lights on the laptop match the ridiculous case for my desktop. So, it looks like I planned it. I suppose I can count this as a new year’s resolution, even if it’s only for this month. I have a few weeks until my next contract gig (so far), so I’m planning on getting Oculus, Gear VR, and Cardboard versions of VR Meteors, VR Missile Control, and VR Discs Of Golf done by the end of the month. That sounds like plenty to do for the next few weeks. I feel like I finally have some true motivation to get the Gear VR builds working, since I don’t have a way to play them yet. My girlfriend’s dad has a Galaxy S6 phone, so of course we got him a Gear VR for Christmas. Now I need to get some arcade remakes done so that he has something to play. I suppose he’ll be able to add “Video Game Tester” to his resume as well. As long as I make them fun enough to play, that is. The main problem with having a new computer is the overwhelming urge to play all of the new games that wouldn’t run on your old machine, instead of working. I’ve actually spent the past couple days playing Dishonored, which came out 3 years ago. So, I haven’t exactly taxed the computer yet. If you are a fan of the System Shock, Deus Ex, and Bioshock games, you should definitely check it out. One of the directors and writers is Harvey Smith, who worked with Warren Spector on System Shock, and the first two Deus Ex games. You can tell, in a good way. I’ll leave it at that. I suppose Rise Of The Tomb Raider will probably be the first true test. It comes out on 1/28, just in time for my birthday. (I know what I’ll be getting for myself.) I have my fingers crossed that it’ll support stereoscopic 3D as well as the previous Tomb Raider game. That was easily the best 3D experience I’ve had with any media. That’s including Avatar and Pacific Rim, so you know I’m serious. I’m also looking forward to Dishonored 2 now. Also, now that I’ve got the basics in place, it’s time to start working on making things look and sound better. I’ll be starting to add better art, since my art skills have improved a bit since I first made the existing models. I also have a better understanding of materials and shaders, so I will try to get a decent outline mode working. I’m also going to implement the Oculus audio spatializer for 3D audio positioning. Regarding VR Meteors for Google Cardboard and Gear VR, I broke the Android rendering when I cleaned up some of my code and shaders. So, I will be working on Android-specific materials as well. I also want to add different control modes to support single-button play, and sitting/standing options for camera movement. I’ve played around with these various options already, so it’s a matter of choosing good defaults and adding options to the menus. Still plenty to do. What’s Been Taking So Damn Long? I submitted this build to Oculus a few weeks ago, and it just got approved. So, you may be wondering what I’ve been doing in the meantime. Well, I’ve been doing some more contract work for Pipeworks and ordering parts to build a new computer. Oh yeah, and spending some holiday time with friends and family. After submitting VR Discs Of Golf for the Leap Motion 3D Jam, I had the opportunity to try it out on a modern PC. Wow! It became readily apparent that the issues I was having with the Leap Motion controller and Oculus Rift were due to my aging computer. Turns out that a Intel Core 2 Duo and Radeon 5700 from several years ago is just not going to cut it for VR. I spent a bit of time trying, and failing, to get the latest Oculus drivers to work with my laptop. I figured that would be a stopgap solution, but it was not to be. When Oculus removed the extended mode rendering in runtime 0.7, it basically broke laptop VR for almost everybody. The new direct mode rendering requires support from the graphics drivers. The issue comes down to most laptops using an integrated Intel graphics chip that is directly wired to the screen and HDMI port, and not being able to bypass that pipeline to render to the VR headset. On a desktop computer, the HDMI ports are directly on the graphics card, so the drivers are able to support VR without having to interact with any integrated graphics chip that is in the way. With the laptop solution being ruled out, it became clear that it was time for a new computer. Fortunately, a friend of mine had gotten me a discount on a motherboard and CPU just before I was laid off in the spring, so I already had the important parts. With the power supply and memory getting here this week, I should be up and running very soon. I’ll still be using an older graphics card for now, and will wait to update that until I can get the consumer version of the rift. That way I’ll be able to get the best performance for the money. With better understanding of the laptop situation, I may even return the behemoth I ended up getting for something that doesn’t weigh as much as a gallon of water. Since I can’t run VR on it, I’ll just be using it to work while traveling, and building to Android for testing. Check back in a few weeks to see how I did.